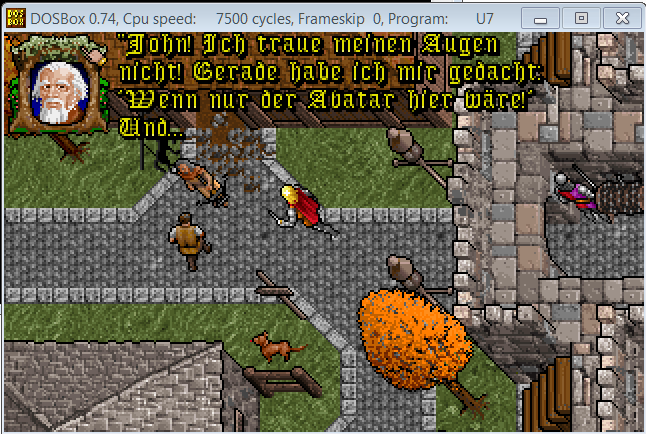 I have completely reworked the two fonts for Ultima 7 and Serpent Isle and reduced the line spacing so much that now more text can be displayed. 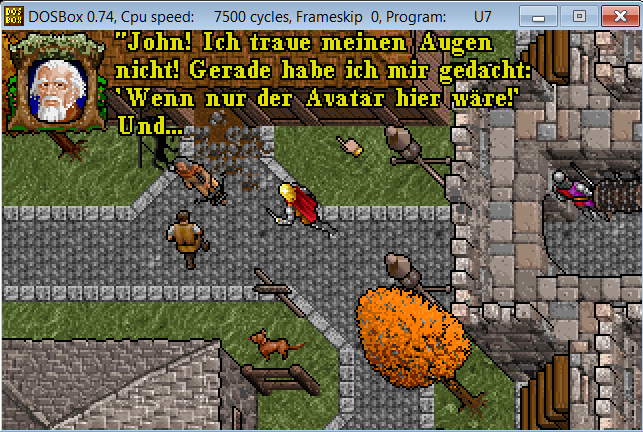 With a few abbreviations, the more numerous dialogue options now also fit on the screen. 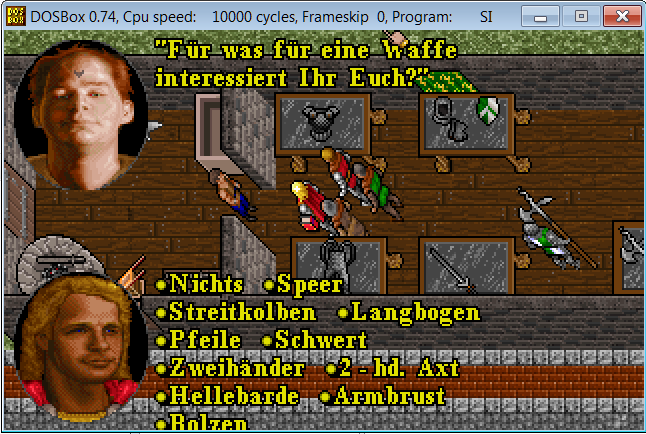 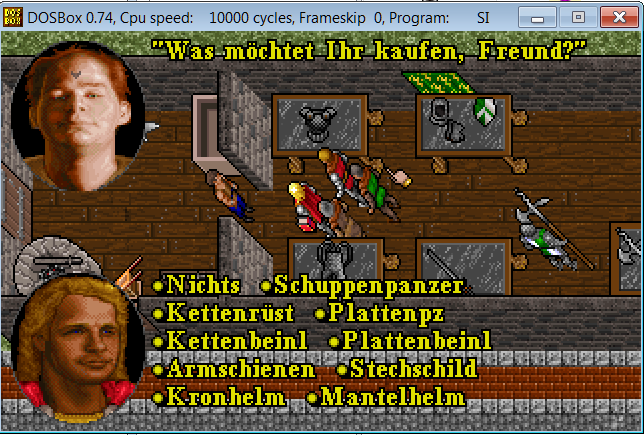 Both fonts run in DOSBOX as well as EXULT and work for German and English versions of the game.